Sky Mobile is a UK MVNO which uses O2’s infrastructure. So wherever O2 has signal, so does Sky Mobile , which currently means 4G coverage for around 99% of the UK population indoors. Since their inception Sky Mobile continues to gain recognition for their innovative strategies and customer service. Sky Mobile won MVNO of the year in 2018 and once more again this year. Some examples of the unique approach that Sky has been adopting with their mobile plans. Firstly in January of last year it was announced they had saved customers over £20 million worth of data spend due to rolling over the previous month’s unused data.Sky Mobile Roll, it banks unused data for up to three years. On average Sky Mobile customers were saved from spending on average £100 each topping up data, out of fear of running out before the allotted time. Sky Mobile customers saved over 2.2 billion gigabytes of mobile data. That is equivalent to streaming over three million hours of TV and movies on a phone, streaming and listening to 440 million songs, or sending over 30 billion instant messages on WhatsApp. In addition to this Sky Mobile were recognized for the choice and flexibility of its mobile phone deals, allowing customers to cut costs for things they don't need. Those not needing to make calls or texts from your mobile can save £10 per month by removing them from their plan. If they have no intention of upgrading their phone for a couple of years then they can opt for a Swap 24 tariff for the best prices. 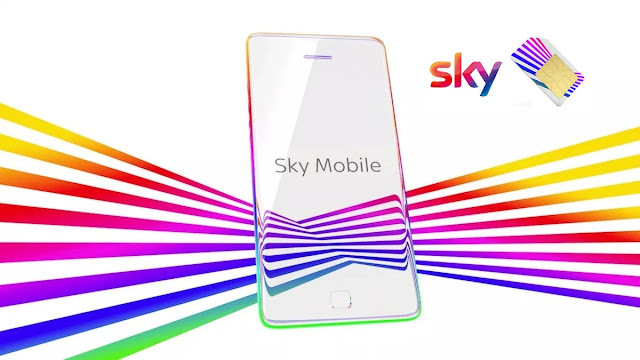 Most recently Sky Mobile announced a new version of its Watch offer, giving customers unlimited streaming on any Sky app, such as Sky Go, Sky Kids, Sky Sports and Sky Cinema, without using a single MB of their data allowance. Sky Mobile also allows customers to use as much of their data as they want for tethering, using their mobile data to get other devices online. Some criticisms of Sky Mobile have also been made, for example it feels mostly built for Sky TV customers, giving them a huge saving on calls and texts if they subscribe to both. However, it’s worth considering even if people get their entertainment elsewhere, being able to roll over an unlimited amount of data is a big selling point that few networks can match.